Fusion Solutions are providing polyethylene pipe installations for the new vacuum sewage facilities on this large subdivision. Prior to Daniel’s involvement, there had been issues with the fabrication and fitting of the pipes. Under Daniel’s management, the pipes are now designed and fabricated on site where they can be custom made to an exact fit. 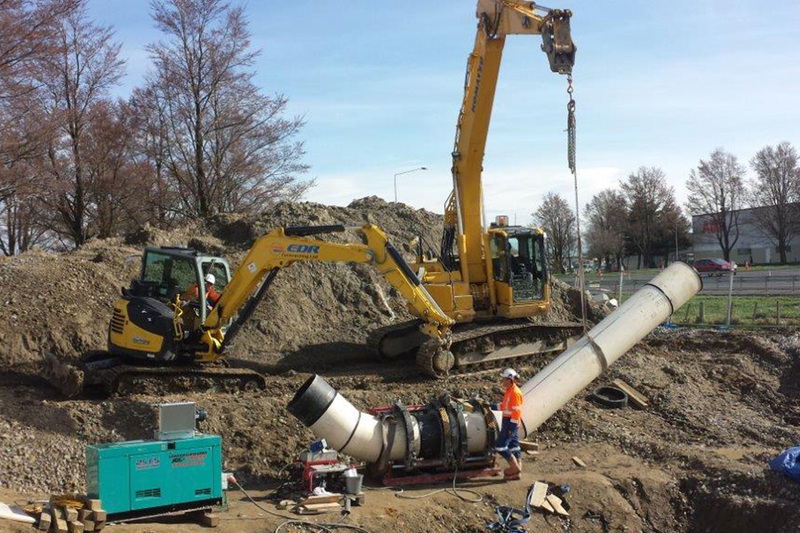 This has given the client major time and cost savings: avoiding the former method of freighting pre-fabricated pipes from Auckland to Christchurch where they frequently needed alterations and readjustments to fit.